Autumn is fast approaching—and, around that bend lies winter and holiday celebrations. Have you planned your corporate holiday party yet? Is your executive team always on the fence on whether it is even “worth” having a holiday party? The good news is a recent study shows there is a tangible business benefit to hosting a holiday party. At the heart of every company are the workers. The tried-and-true employees who keep the business afloat day in and day out. A recent study by TINYPulse suggests there’s incredible value in letting employees know they are appreciated. Signs of appreciation boost employee retention, elevate the team spirit of the workplace, and even increase how much peers like each other. In the TINYPulse 2014 Employee Engagement & Organizational Culture Report, which collected over 200,000 anonymous employee responses from more than 500 organizations, only 21% of employees responded feeling strongly valued at work. It was confirmed that recognition has a substantial impact on an employee’s intrinsic happiness. So, now, it is not only time to plan your upcoming holiday celebration, there’s sound logic to back its validity. 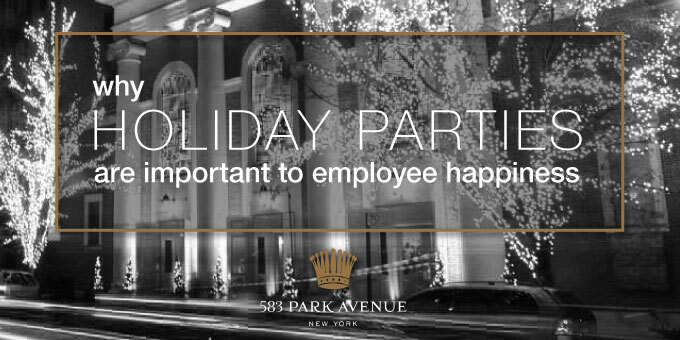 A holiday party will strengthen the bond employees feel with each other, managers, and the organization. Ready to start your planning? Speak with one of our Event Coordinators today. This entry was posted in Corporate Events, Private Events on August 31, 2015 by Lukas Snelling.